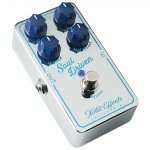 Xotic's Soul Driven overdrive pedal replicates the tone and response of a perfectly tuned amp, offering powerful control over your mid frequencies, fattening up your tone, while simultaneously punching through the mix. And the tone control adds clarity without ever becoming harsh at higher settings. Grab the Soul Driven and get ready for inspirational, authentic tube tone. Onboard, you'll find a standard set of Gain, Volume, and Tone controls. And the Mid Boost pushes your midrange in a way that thickens your tone, while never sounding notched or nasally. Sweetwater guitarists appreciate great tube tone, and the Soul Driven overdrive pedal never lets them down. 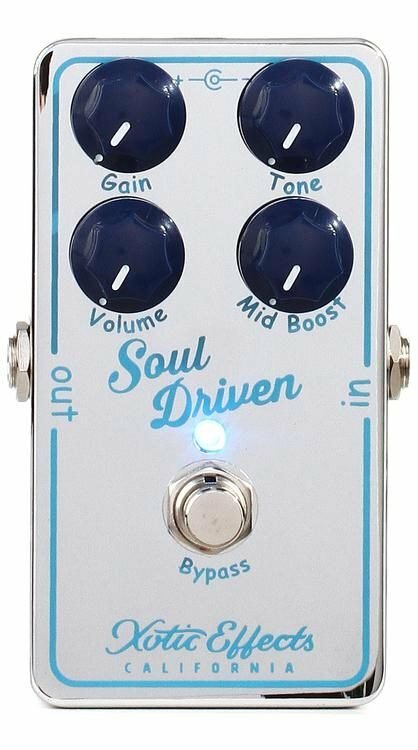 The Xotic Soul Driven overdrive pedal is crafted with the same top-shelf components and attention to detail that has placed Xotic pedals on thousands of pedalboards throughout the world. Internally you'll find a clean circuit board that has been perfectly wired, and a true bypass circuit ensures your tone remains pristine while the pedal is disengaged. There is a limited supply of these great overdrives available, so make one yours today.